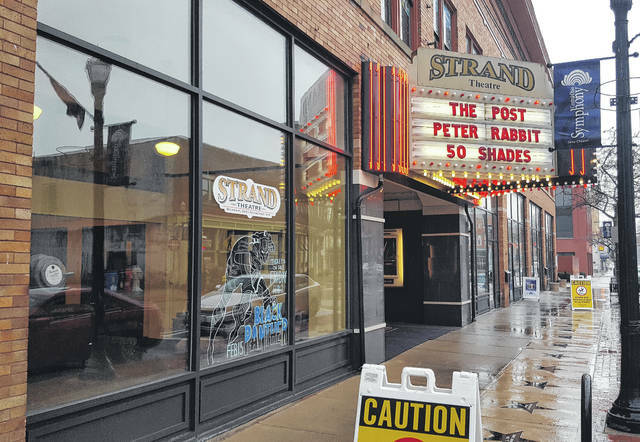 The Strand Theatre is joining the ranks of the 8 percent of theatres in the nation that are sensory friendly by developing an ongoing series for those on the Autism spectrum or with developmental disabilities. The series is being launched with an open house from 10 a.m. to noon on Saturday, Feb. 17, at the Strand, 28 E. Winter St., Delaware. At the Strand Theatre sensory open house, guests will learn about the sensory-friendly initiative and about organizations that have family resources to share. Individuals will also have an opportunity to tour the theatres including the newly renovated Balcony Theatre in the sensory setting — lights up and lowered volume. Patrons are free to dance and move around while feeling comfortable in their own skin. The Strand Sensory Series is an effort to help neighbors in their quest for local entertainment that provides those with autism, developmental disabilities, and other sensory needs the ability to see and experience all the things the world has to offer. While there are other theatres in central Ohio that host sensory showings, there have been none in Delaware until now. Beginning in March, the Strand will launch its sensory-friendly initiative with a monthly sensory series. Every third Saturday at 10 a.m., the Strand will show a film in the preferred setting — lights on and lowered volume in one of the downstairs theatres. The first film will be Saturday, March 17, with a showing of “A Wrinkle in Time.” Admission is $5 per person, and doors will open at 9:30 a.m.
Peyton added the team at the Strand took part in “People-First” training and also in “The Many Faces of Autism Course,” which has led to certification. As a nonprofit organization, the Strand relies on community and donor support, grants and sponsorships, and governmental support to fund programs like these. Sponsorships are available to fund this program. The iconic Strand Theatre will celebrate its 102nd year in operation in 2018, and it stands today as one of the 10 longest-operating theatres in the United States and one of the few remaining independent theatres showing first-run films. Estimated to have an economic impact of $1 million annually to the Delaware community, the Strand serves 75,000 patrons per year and is open 364 days a year. https://www.delgazette.com/wp-content/uploads/sites/40/2018/02/web1_Strand.jpgThe historic Strand Theatre in downtown Delaware will host an open house on Saturday to introduce to the public its Strand Sensory Series, which is geared toward those individuals on the Autism spectrum or with developmental disabilities.